It was back in April 2012 that I first found out about ToddZero, who was known as ToddO back then, with the release of his debut EP '1234567'. What an amazing EP it is, and when I listen to it now I still love those songs, it is well worth checking out. But the Orange County artist is now back with a new full album titled 'Kid Heart'. 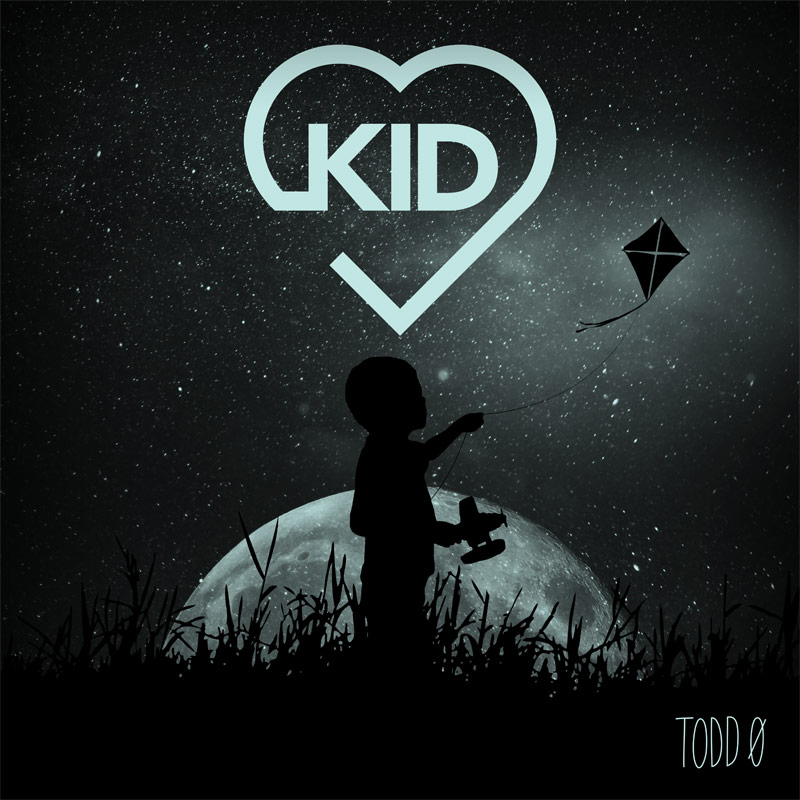 Read More It was back in April 2012 that I first found out about ToddZero, who was known as ToddO back then, with the release of his debut EP '1234567'. What an amazing EP it is, and when I listen to it now I still love those songs, it is well worth checking out. I have to admit I was very excited to have the opportunity to listen to this album. I like the sounds this songwriter makes, and actually the last EP is a firm favorite in the Davies household and there aren't many albums my wife and I both agree on! From the moment 'Kid Heart' jumped out of the speakers I knew we were in for a treat. The album opens with the title track. This electro number starts off in a chilled rolling kind of way, with the song slowly building to what you expect to be a big chorus. But the song quietly reaches that moment, and that's what I like about it. This album isn't what you would call obvious, and in that is the beauty: expect the unexpected. You Really Love Me has a gentle summer vibe to it. Think Polyphonic Spree and The Flaming Lips for this one. This clever song has a real feel-good factor to it. Again the musical creativity comes on the upbeat track 'Daddys Broken Down Car', this mixed together with the raw and gravely vocals of ToddZero makes this song sound just brilliant. There are two things that put ToddZero apart from other artists. One is that he isn't obvious with his music, just listen to the weird yet wonderful Rewind and you will see an artist who doesn't create music that you might expect to hear! He writes intriguing songs which at times sound beautiful, interesting, weird and of course wonderful - but most of all, heartfelt. Secondly, ToddZero has this vocal sound that can't be copied. When he sings you know it's him, and all the best artists have that in their locker. With Tom Jones, you know it's him when he sings. Adele and Buble are both modern vocalists who are very distinctive with their voices. ToddZero has that kind of voice. At times it sounds like he is pushing it so far that it must hurt. I loved hearing his voice in the slow and soulful Make It Home Tonight. This isn't a power ballad, it's too beautiful to be called that. This is a soul indie ballad and it sounds epic. For me this album is just incredible, I loved every moment of it. The song When Love Comes Riding By (Hosanna) is again very creative musically, and sounds like nothing I have heard this year from any Christian artist. This is why I'm such a fan of the artist. For me this album is a massive step forward from his EP 1234567. ToddZero has been left to get on and create the album he wanted to make and you can hear that freedom in the songs. Just listen to the track Rise and you will see what I mean. If you are expecting clean cut worship music then this album isn't for you. This is heartfelt indie, creative and inspiring music sung by a vocalist who has a voice that most people would love to have. I for one would love to be able to write and sing like this guy. Since I can't, I'll just keep listening to this epic album.